It is with great pleasure and humility that I thank you all for electing me to serve as your President for the coming year. I am truly honored by the trust you have reposed in me and I am eager to get to work. I am conscious of the fact and humbled at the thought, of the legacy, tradition and achievements forged by my predecessors. As I take on this new role, I also welcome our new Vice President Mr. Harikumar and Members of the Executive Committee who have been elected to serve the Chamber for the coming year and I look forward to an eventful year ahead. The 10th CEO Breakfast Meeting was held on 21st September 2018. Ms. Akshika Harkrishnan, Associate Director, Entrepreneurial & Private Business, PwC was the Speaker at the Session. The Session was on “Family Business- Succession Planning” and covered the various issues and challenges faced by family businesses and the ways in which such hurdles could be avoided and overcome. The next CEO Forum Breakfast Meeting will be held on Friday the 5th of October 2018. The brochure regarding the same will reach you shortly. This Session will be on “Psychological Resilience and Cyber Security – Rapidly Changing Threat Landscape” and will be handled by Mr. Nandu Govindankutty, Director – Barclays UK & Co-founder of MADTA. I trust that you will all make use of this opportunity and attend the Session. The Chamber’s 4th Annual Dr. A.P.J Abdul Kalam Memorial Lecture will be held on Friday the 12th of October 2018, at Hotel Abad Plaza, Ernakulam. Dr. P. Namperumalsamy, Chairman Aravind Eye Care Systems, Madurai, will be the Guest Speaker at this year’s Lecture. The details of the program are being sent to you separately and I request you all to participate in this event. To conclude, I once again thank you all for having me elected to serve as President of Cochin Chamber of Commerce and Industry. 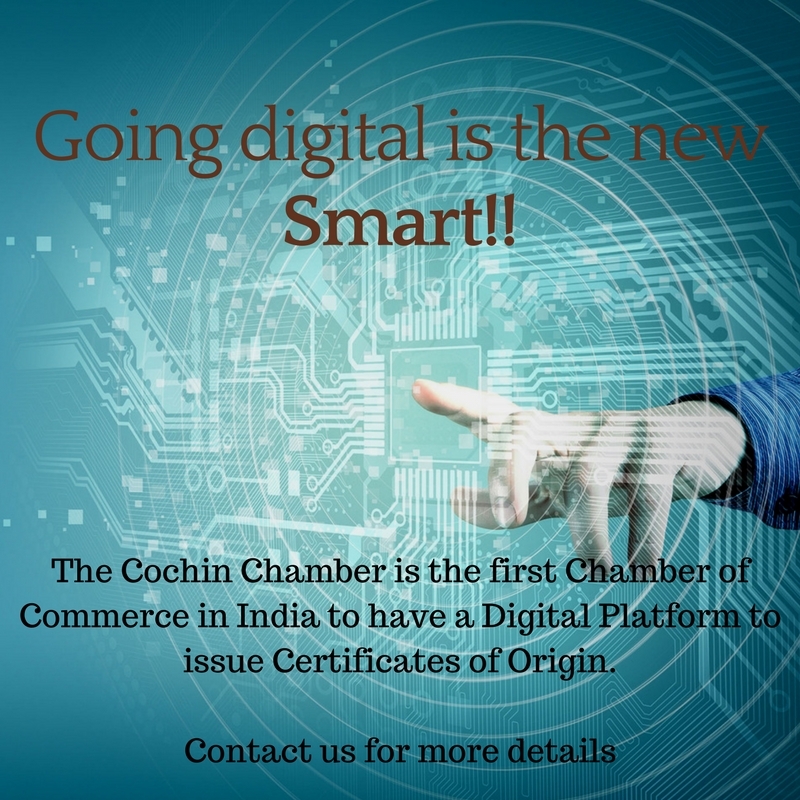 I assure you that I shall spare no effort in championing the cause of the Cochin Chamber, to preserve its rich heritage and to strengthen and secure its future. Proprietor | Shaji Varghese & Co.
Dy. Managing Director, South India | Opal Asia. Senior Partner | RGN Price & Co. 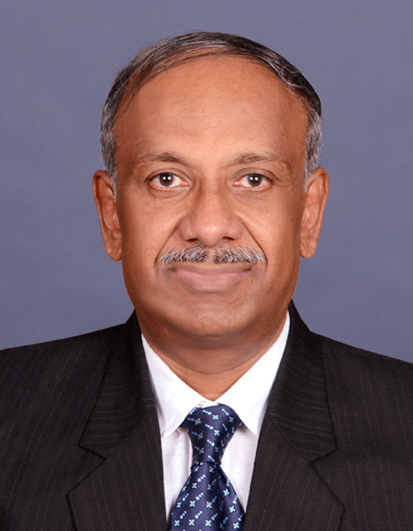 Managing Director | The Travancore-Cochin Chemicals Ltd.
Director | Medivision Scan & Diagnostic Research Center Pvt. Ltd.
Director | Synthite Industries Pvt. Ltd. Managing Director | Team One Advertising Company Pvt. Ltd. 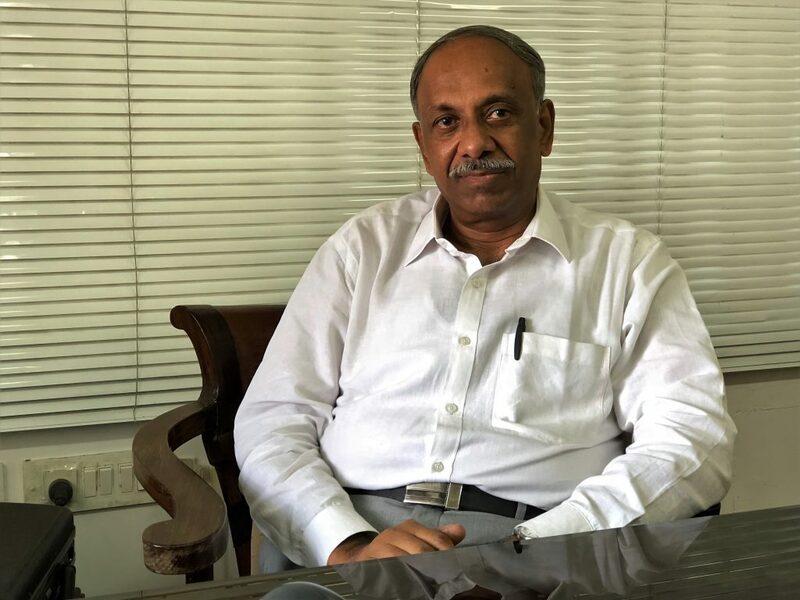 Managing Director | Agappe Diagnostics Ltd.
Companies such as Bajaj Finance, Page Industries, Eicher Motors, Berger Paints, MRF, Ashok Leyland, Natco Pharma, Pidilite Industries and Dewan Housing Finance are among those that made to the top list. Further, India was ranked number three with 111 companies, with the top spot being occupied by China with 159 companies, followed by the U.S. with 121. “The longer-term trend of out-performance of family-owned companies is clear… having delivered cumulative excess returns in every region and sector since 2006,” the report said. The trend could be due to superior financial performance driven by the longer-term focus that family-owned companies appear to have, according to CSRI. Interestingly, the study further found that family-owned companies across emerging markets were much younger than their peers in developed markets. Students of MBA in International Business, Indian Institute of Foreign Trade (IIFT), New Delhi, visited the Cochin Chamber on the 13th of September 2018, as part of their course curriculum to visit Air Cargo, Customs, Ports and Spice Board, and other related service organization such as SEZ and Chambers of Commerce. The Indian Institute of Foreign Trade (IIFT), is a Deemed University under the Ministry of Commerce and Industries, Govt. of India. At the Chamber, the Students were greeted and welcomed by the vice President Mr. V. Venugopal. Mr. Venugopal spoke to the students on the importance and the role the new generation plays in the development of the society and the country as a whole. Later, the Chamber’s Past President Mr. C.S. Kartha, who is also an expert in shipping and logistics, spoke to the students about the history of the Willingdon Island and the development of the Cochin Port. Mr. Benny George, a Motivational Speaker and Consultant based in Cochin spoke to the students about the challenges they will face in the industry and about how important it is to be focused in their careers. A couple of students proposed the Vote of Thanks. 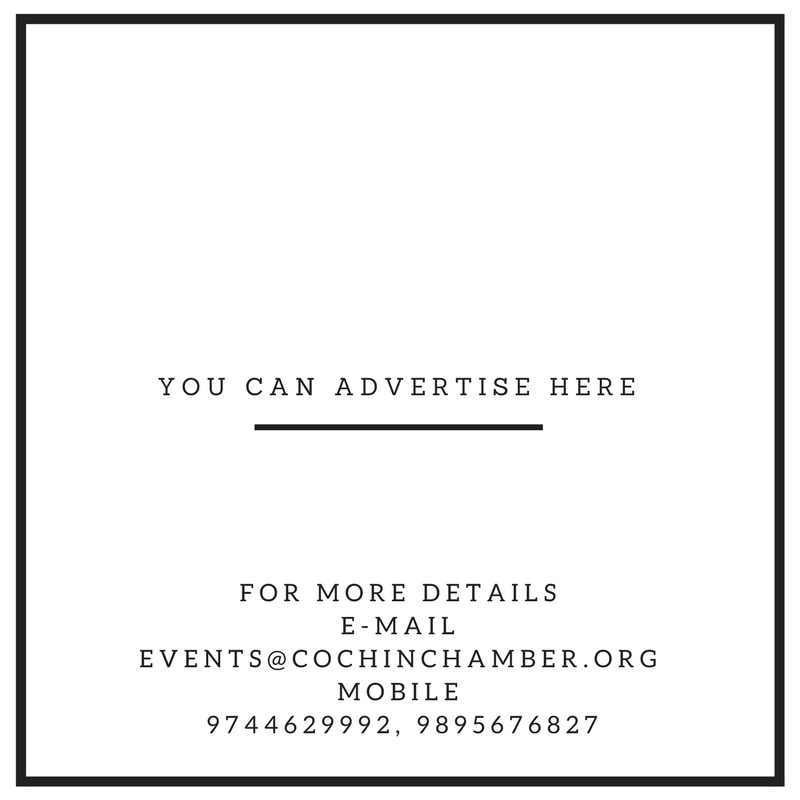 The Tenth Breakfast Meeting of the Cochin Chamber’s CEO FORUM 2018 was held on Friday, 21st of September 2018 at the Taj Gateway, Ernakulam. Mr. Shaji Varghese, President of the Chamber, delivered the Welcome Address and introduced the Speaker for the meeting. Ms. Akshika Harikrishnan, Associate Director, Entrepreneurial & Private Business – PwC India spoke on the importance of creating a sustainable family business. She touched upon conflicts in family businesses and the various challenges in the family business structures. The interactive session came to a close with a networking breakfast by 10 am. Mr. C.S. Kartha, Past President of the Chamber presented a Memento to Ms. Akshika Harikrishnan. Mr. V. Venugopal, Vice President of the Chamber delivered the Vote of Thanks. The Business Session of the 161st Annual General Meeting of the Chamber was held on Tuesday, 25th September 2018. Mr. V. Venugopal was elected President of the Chamber for the year 2018-2019. 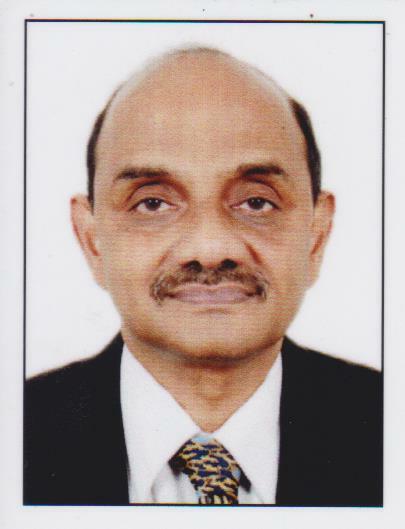 Mr. Venugopal is the Vice President – Legal of Messrs. Harrisons Malayalam Ltd., Willingdon Island, Cochin. Mr. K. Harikumar, Managing Director, The Travancore-Cochin Chemicals Ltd., was elected as the Vice-President of the Chamber. The 11th Meeting of the CEO FORUM 2018 will be held on Friday, the 05th of October 2018 at the Taj Gateway, Ernakulam. Those interested in attending the meeting can get in touch at the contact details shown below to register. The 4th Annual Dr. A P J Abdul Kalam Memorial Lecture will be held on Friday, the 12th of October 2018, between 5.30p.m. and 8.00 p.m. at the Abad Plaza Hotel, Ernakulam. The Speaker this year will be Dr. P. Namperumalsamy, Chairman – Emeritus, Arvind Eye Care System, Madurai, a long time close associate of Dr. Kalam. The programme will commence with a High Tea at 5:30 pm followed by the Lecture at 6:00 pm. We look forward to your presence at the function.